Sri Bhaktisiddhanta Saraswati Thakura mentions in his anubhashya that Sri Ananta Acharya is an eternal associate of the Supreme Lord. Sudevi, one of the eight principal gopis of Vrindavana,had incarnated as Sri Ananta Acharya in Lord Caitanya’s pastimes. 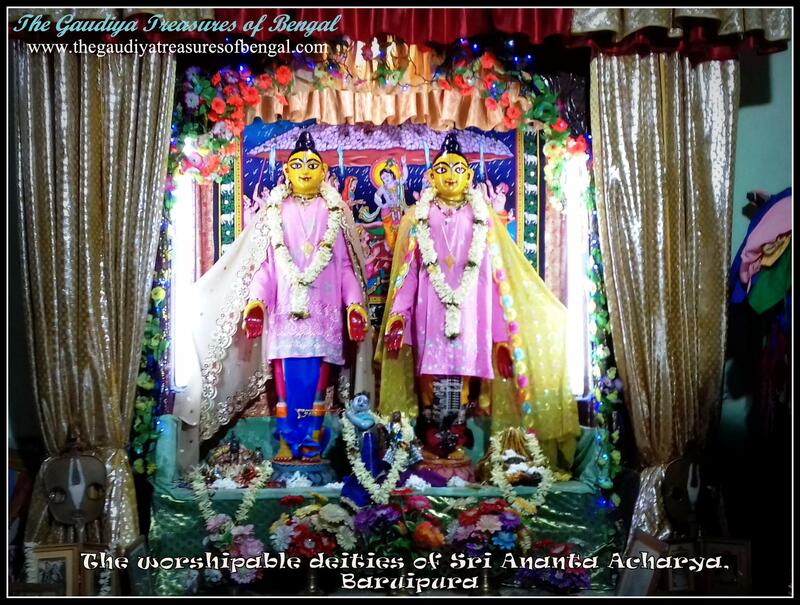 Sri Sarvabhauma Bhattacharya’s house in Sri Jagannatha Puri, is today known by the name ’GangaMata Matha’. This Matha (monastery) was originally established by Sri Ananta Acharya. Ganga Mata, the princess of Puntiya (located in the Rajshahi district of the present-day Bangladesh), abandoned her home and opulence, in order to accept initiation in Ananta Acharya’s line of disciplic succession. She had later brought a deity named Sri Rasika Raya, from the king of Jaipur ,and installed Him in the house of Sri Sarvabhauma Bhattacharya. This matha(monastery) subsequently came to be known by her name.